Not only is buying a pre-owned vehicle fun, but it’s easy, too, when you know which steps to take. 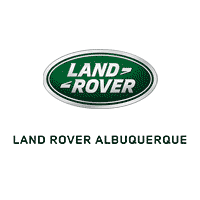 To help our customers with his process, our team at Land Rover Albuquerque created some tips on used car buying. Keep reading to see what goes into buying a used automobile. Then, contact us when you’re ready to find your dream car near Albuquerque, Rio Rancho, or South Valley. You’ll want to make sure you build a target list of cars based on your budget. Whether you’re looking for a used SUV or other type of vehicle, it should have the features you want but can also afford. After creating a wish list of models, you’ll want to read through their vehicle history reports. These will reveal a great deal about a car, including whether it had been in an accident. You then may find yourself narrowing down your wish list a bit after checking up on the vehicles’ histories. The final step before deciding on a specific pre-owned vehicle is to take it for a test drive. Make sure that everything performs as it should, nothing is out of the ordinary, and you feel comfortable driving the car on any road surface. Not that you understand how to buy a used car, you’ll want to start looking for a good one. Luckily, we have a large enough inventory that you’re sure to find the right used luxury car for you. You can actually check out our full lineup of used and certified pre-owned automobiles right on our website. Either browse through each individual listing or use the search filters to help narrow down your options. Under each listing, you’ll see photos of the car, along with specs and features included in the model. While reading about an automobile is helpful, you’ll need to see it in person to really know if it’s right for you. So, you’ll want to stop by our dealership to test drive the pre-owned Land Rover and Range Rover models that you’re interested in. By the end of each drive, you should know which car will become your next new ride. We hope our used car advice was helpful and that you’re all geared up to find a great used luxury car. 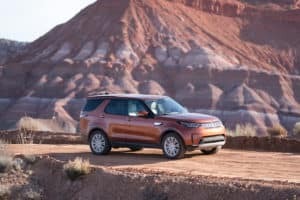 To schedule a test drive, contact Land Rover Albuquerque, your dependable used car dealer near Albuquerque, Rio Rancho, and South Valley, today!